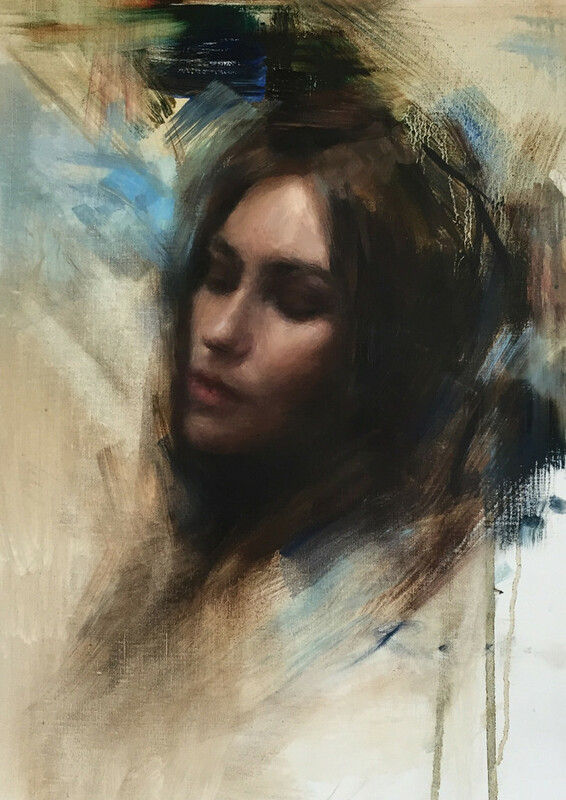 I spent the week studying with Casey Baugh in his Brooklyn studio. Along with many other things, I left the experience realizing the importance of having enough paint on the canvas. It sounds simple, but having the right amount of paint down at the beginning of the portrait allows me to mold the painting in a more accurate way. Here’s one of the paintings I did during the week.